If you've never felted any bags before, you really shouldn't be afraid! You just need to make sure that you use 100% wool yarn that is not marked as "super wash," since only animal fibers, and especially wool, are capable of being felted. 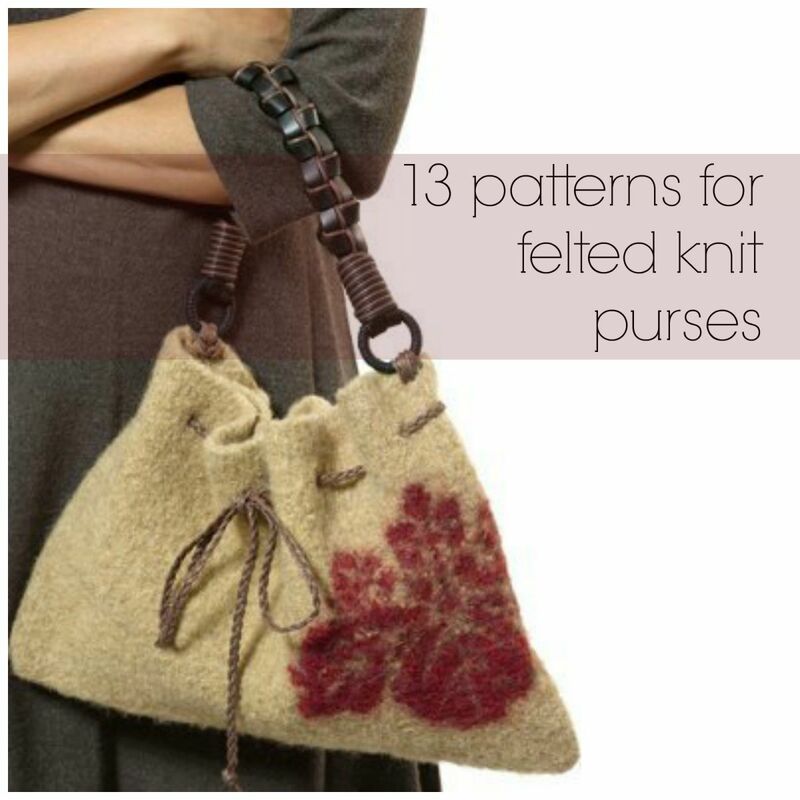 If you're not sure which pattern to start with, this group of 13 patterns for felted knit purses has you covered. Find the perfect knit bag to add to your growing collection with this classic collection of patterns for felted knit purses. Besides the amazing texture of felted bags, I love how felting helps to cover up any mistakes (hey, no one is perfect!). 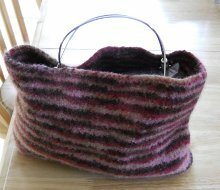 So if you find yourself at the point where you're ready to give felted knits a go, bags are an excellent pattern to play around with. From easy knitting patterns that are great for beginners, to more advanced patterns that are equally as rewarding and chic, this collection has it all. My personal favorite is the felted Flora Bag. Classic and stylish, this bag is perfect for every season. What color will yours be? Create felted bags with beautiful floral accents. Whether these patterns include 3D floral pieces, or if the floral touch is more subtle, these bags are perfectly girly and irresistibly fun to knit. Felted knit purses don't have to be a boring affair, as these free knitting patterns prove. If you're a fan of the feminine and stylish, these bags will be right up your alley. I can't say enough good things about the Easy Felted Bag (above). Knit completely in the garter stitch, this is one of those amazing easy knitting patterns that looks magically complex once it has been completed. Equally as easy and cute, the rest of these bags will surely get you hooked on felted knits. Try making the adorable Felted Bunny Bag for your niece, granddaughter or little sister. With a little patience, these felted knit purses will take shape right before your eyes. If you like your knit bags to have a little more flavor, more pizazz, more of that look-at-me factor, then this group of bags is what you've been searching for. The Crescent Bag is one of my favorites. 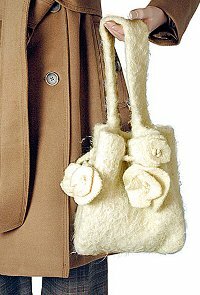 The unique structure of this felted knit purse will draw plenty of compliments and second glances. As for the other bags, with their bright colors and fun designs, they are all just as stunning and fun to knit. You'll love the stylish possibilities presented by this collection of free knitting patterns. Looking for more knit bag patterns? Our collection of 14 Pretty and Practical Knitted Bag Patterns will fix that craving for the ultimate tote!